Battlefield 1 is a first-person shooter video game being developed by EA DICE, and published by Electronic Arts. 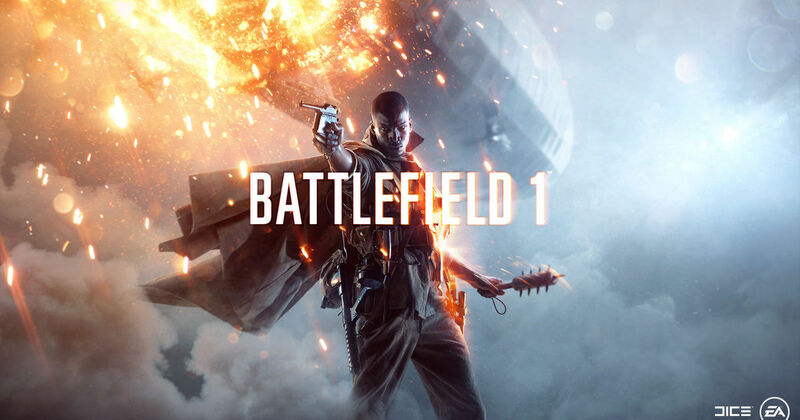 Battlefield 1 is scheduled to release on October 21, 2016 for Xbox One, PlayStation 4, and PC. Battlefield 1 takes place during World War I, which will include weapons and vehicles from that era. The player can use bolt-action rifles, automatic, and semi-automatic rifles, artillery, flamethrowers, and mustard gas against the enemy. The player can also operate biplanes, battleships, armored trucks and tanks, and can even ride horses into the battlefield. destructive environments and weapon customization will return to Battlefield 1. The campaign will have larger and more open environments to allow the player to approach their objective as they wish, unlike earlier games in the Battlefield series. Multiplayer will support a maximum of 64 players per server. The squad system now allows players to leave and join games with their squad together. The multiplayer maps will take place in the theatres of World War I, such as in the Middle East, the Western Front, and the Italian Front.